ATTN: Frozen Custard Ice Creams Are Now A Thing! So it’s 2018, and we still don’t have hoverboards or Cher’s wardrobe from Clueless, and for some reason, no one has figured out how to let our dogs talk to us yet. But, thanks to Bulla, we now have frozen custard sticks…so, welcome to the future people! You might remember their game-changing frozen custard being released last year in tub form and now they are putting their award-winning recipe on a stick! BTW, the tub version won product of the year, so it’s the real deal, and yes—science does suggest everything tastes better on a stick. Or something. Made from a creamy blend of fresh local milk, cream, and free range egg yolks, the Bulla Frozen Custard Sticks aren’t your regular frozen treat, no ma’am! They’re much thicker and richer than regular ice cream (um…sign us up!?). Where can I get these heavenly sticks from, you ask? Good news is they’re available at your local grocery store in a convenient pack of six (it’s the only six-pack we care about this summer). 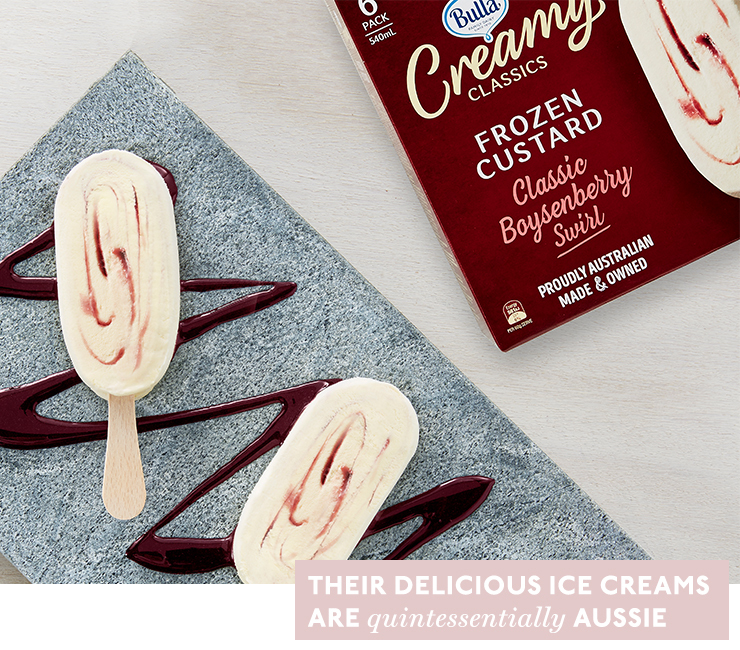 What’s even better is that Bulla’s new Frozen Custard Sticks are available in two delicious flavours: Classic Boysenberry Swirl and Choc Caramel Ripple. We can’t decide which we like better, so I guess we’ll have to have both! Now go forth and make the most of all that freedom that comes with eating frozen custard on a stick, and try one ASAP. Editor's note: this article was produced in partnership with Bulla. Thank you for supporting the partners who make The Urban List possible, to read more about our editorial policy, click here.